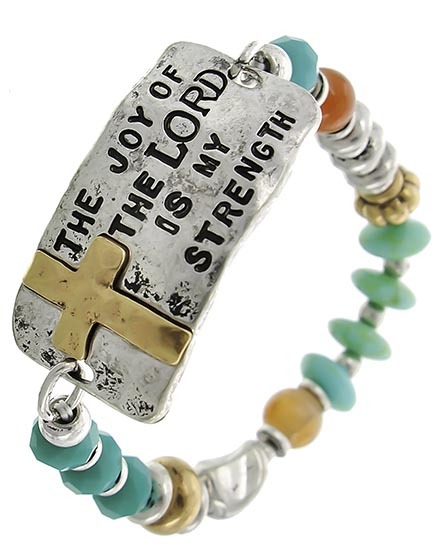 Great message on a chic and comfy stretch bracelet! Display the message of Joy year around with this casual bracelet. Turquoise and glass beading with two tone metal accents. The Joy of the Lord is my Strength!